Pumpkin Smoothie. 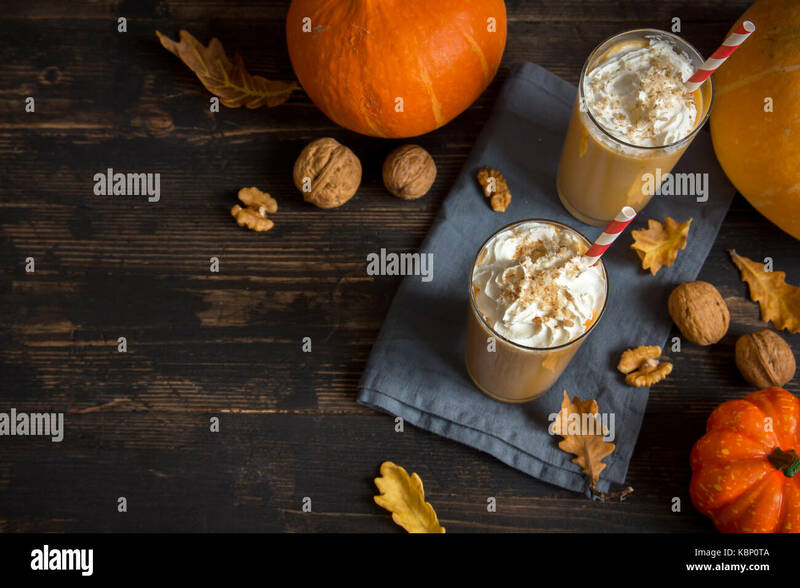 Fresh Pumpkin and Apple Smoothie or Milkshake with Walnuts and Autumn Spices. Seasonal Autumn Drink.